Use with foliar sprays to adjust the tank solution to near pH of 6.0 for increased uptake efficiency. 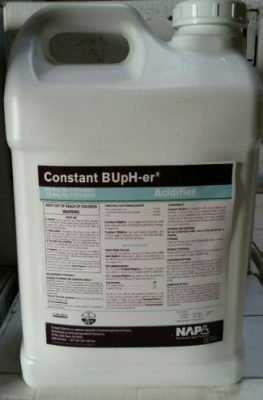 Use with products requiring specific pH range for efficacy. the potential for damage to equipment. application method, equipment, spray droplet size, condition of foliage, etc.